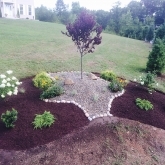 Roots Landscaping offers a variety of landscaping services to help you turn your land into a beautiful masterpiece. We provide masonry, fencing and other maintenance services that help uplift your land, adding a cosmetic appeal and increase in market value. Our professionals are trained to do the best work and are dedicated to getting the job done in the most efficient and safe manner. As professionals and proficient landscapers we know everything there is to know about shrubbery, water usage, perennials and trees. We know where to plant what tree and how to plant different flower beds and shrubbery to considerably increase your house’s aesthetic value. 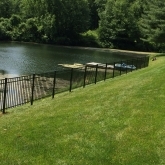 We offer professional lawn care and lawn maintenance services to homeowners and businesses in Brookfield, Ct. This includes mowing, weed control, mulching, tree planting and trimming and much more. With both a weekly and bi-weekly schedule options, we can customize a landscaping plan that fits your property perfectly. Whether it is the start of the spring, mid-summer or prepping for fall, we are Brookfield’s #1 landscaping business to call. We help protect your plants while providing a pleasing look to your garden and flowers. Mulch locks in moisture, sunlight and nutrients in the soil for the health of your plants, but you need to choose the right mulch. We can help with advice on your garden care and then take care of the heavy labor for you. Do you want a new tree or bush planted in your lawn? We can take care of that. What about existing trees and shrubs around your Brookfield home? We can take care of that as well. We offer pruning and care services for trees, shrubs and plants. Not only does this service keep your lawn looking clean, but it helps with the health of the plants, promoting their growth. If spring is sneaking up on you or fall has left a mess on your Brookfield property, Roots Landscaping is there to help. We offer spring cleanups to get your home looking its best for summer or fall cleanups to prepare for the oncoming winter. We’ll clean up leaves, dead plants, branches and trees. Prune the shrubs, cut the lawn, check all the property are also part of our cleanups. If there has been a recent storm that caused fallen branches around your Brookfield home, we take care of the cleanup. Professional landscaping services beautify your home while adding value to your Brookfield property. The professionals at Roots Landscaping works directly with you to make sure that your vision is clear. Once we have a good understanding, we lay out designs for the space and then get to work. We can choose from all kinds of plants an flora: perennials, annuals, shrubs and trees. If you would like a walkway or stone wall built, we can take care of that as well. We also provide our tailor made services to commercial real-estate owners and have helped topnotch companies in Brookfield to restore their landscaping. We can also provide water features to your office and add a small pond amidst the greenery in front or at the back of your office building. 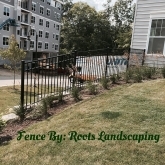 There is no shortage of creativity at Roots Landscaping; we have the resources and the diligence to get projects done in time, and as per the specifications of both homeowners and commercial owners. When it comes to commercial landscaping, expertise is essential to maximizing the aesthetic appeal of your facility or office. It’s the first impression your clients and customers get. At Roots Landscaping, we understand this and pride ourselves in providing you with the best masonry, fencing and other landscaping practices just for you. We will go over the exact process, along with the design of the landscaping, ensuring that you know exactly what you are getting. Our professional landscapers are here to help answer any questions and provide quality service with the proper equipment and tools. 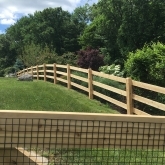 Let Roots Landscaping help with your business in Brookfield, CT.